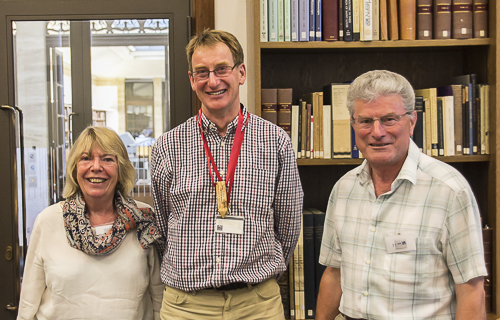 Laxton History Group welcomes members with an interest in Laxton and local history. It meets on the third Wednesday of each month January - November in Laxton Village Hall at 7.30pm unless previously advised. 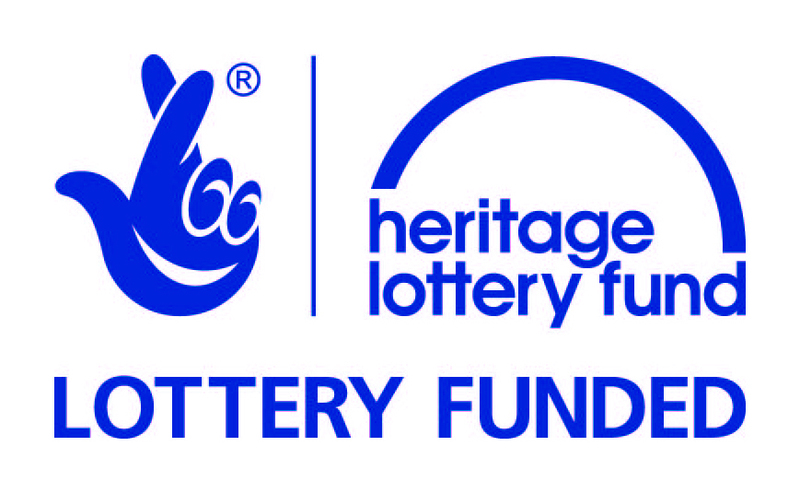 Meetings are being held in Egmanton Village hall during the Lottery funded refurbishment of Laxton Village Hall. Please contact us for up to date information or see the Group notice board near the telephone box in the village. The members of Laxton History Group are villagers past and present and people with an interest in Laxton and in history. We enjoy monthly meetings with speakers on topics chosen by members. We have a number of 'Stakeholders' - very special friends of Laxton who we have presented with a mini stake made from a stake which has served for a year in one of Laxton's open fields. The first was Prof. John Beckett, our Honorary President who has done much to record the history of Laxton and to promote its importance. 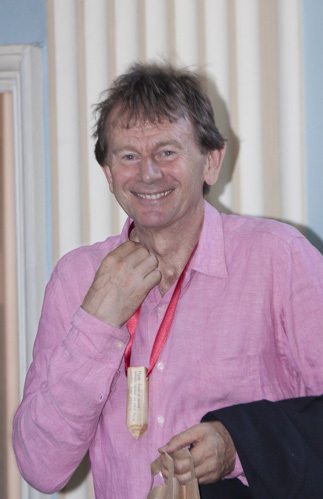 Michael Wood, the well known TV presenter and historian has filmed in Laxton over many years and is well known and liked by the villagers. He was presented with his stake at our 50th meeting, on which we attended his lecture to the Thoroton Society in Newark Town Hall. 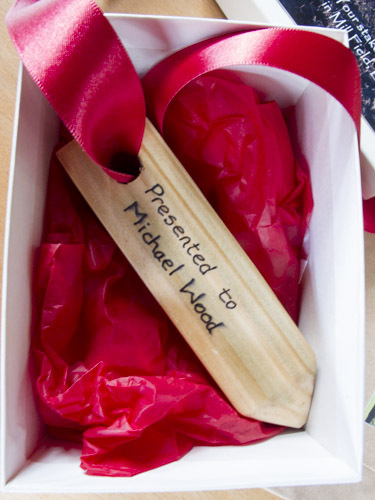 He kindly donated his fee from this event, which we have used to work with local schools to promote our 'Michael Wood Award'. This involves children in the final stages of their primary school career working with parents, friends and others to research an historical subject ot their choice and to report it as they see fit. We have had outings many visits to places of historic interest. The most significant has been to the Bodleian Library in Oxford, where the definitive map of Laxton in 1635 by Mark Pierce is kept. The Bodleian Library cricket team came to play Laxton in summer 2010 and we value our relationship with the team there who care for the map. 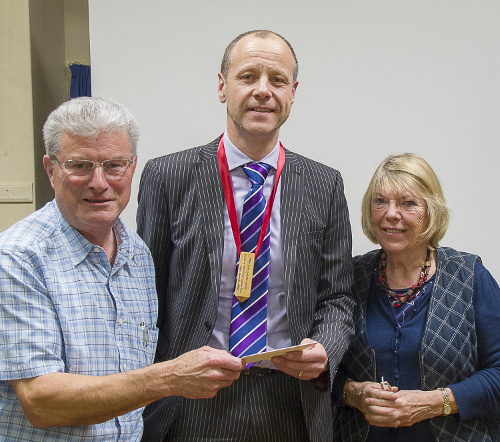 On one of our visits, when we were able to view the newly refurbished facilities at the Library, we presented Nick Millea, Keeper of Maps, with a mini stake. We plan to visit in October 2015 to see the precious map displayed in public in a special exhibition. The fourth and final Stakeholder is Alistair Millar, a partner at Tallents Solicitors in Southwell, who is the Steward of Laxton Court Leet, and as such oversees the legal proceedings at the annual meeting of the Court each December. 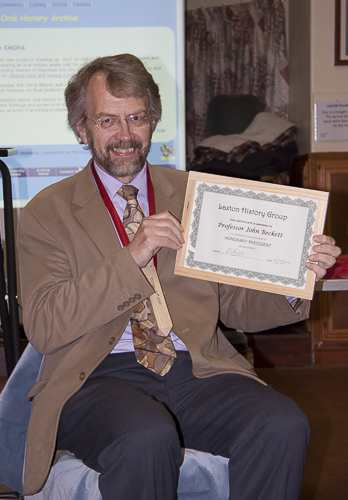 The group is a member of the Thoroton Society, Nottinghamshire Local History Association and the BALH. We have a comprehensive range of displays about all aspects of Laxton life, the open field farming system and our HLF project and its outcomes. The last is a dramatised presentation, bringing to life some of the documents we discovered. If you would like us to display at your event or speak at your meeting, please contact us using the details below.